Up to 14 million visits the Netherlands each year to soak in the beautiful architecture and tolerant, laid-back culture. 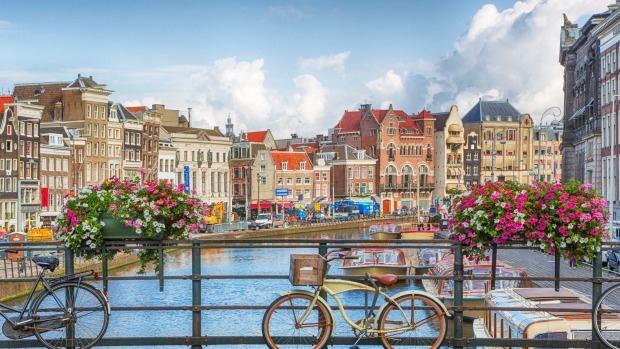 By far the most popular terminus is the country’s capital, Amsterdam which is a favourite amongst bachelor and bachelorette looking to spend a weekend doing fun-filled activities. The street that leads between the central station and Dam square is arguably the busiest in the city, if not the whole of the Netherlands. Every day it is chockablock with tourists wandering down and soaking up the first sights they see on their arrival. Now don’t get me wrong, I am fully aware of how beautiful it is and why you would want to stop and stare or even take pictures of your travel companions in front of these stunning monuments but please do so mindfully! Humans have yet to evolve indicators and brake lights so take a second to look around before you make a dead stop in the street and cause a pile up behind you. If you do insist on walking so slowly, consider walking in a single file line with your hands on the shoulders of the individual in front of you forming the world’s worst conga line! The ‘Venice of the North’ has 165 canals stretching over 100 kilometres, and these are a major attraction in the city. However, up to 15 people are said to drown or be injured from falling into the canals each year. The massive majority if not all of these occurrences are due to people who have had a few too many drinks that are looking for a place to relieve their bladder and choose a canal as a suitable spot. If you really cannot hold on to the next bar, there are public urinals conveniently located around the red light district, a favourite haunt for stag parties. Pub crawls, and bar guides are popular activities among bachelor and bachelorette parties, and every weekend, the Warmoesstraat is awash with tourists crawling between the many bars there. Anyone who has bravely ventured into this area on a Saturday night will tell you it resembles a sort of purgatory of parties with lost drunken girls wandering around with their shoes in hand, crying ‘Debbie, Debbie!’ in a thick Brummie accent and young lads standing in doorways spewing all over their new Nike trainers. Here in Holland, we believe those who play together should stay together so keep an eye on your flock and make sure this does not happen to you. If all else fails, note the conga line tip above!